Medical device and pharmaceutical companies invest millions of dollars on national sales meetings. Why? Ultimately, it’s to grow sales or to sustain growth. That’s the goal, plain and simple. Over the last 36+ years, I’ve been a medical sales rep, managed medical sales reps, and have been hired to train and motivate medical sales reps. I also present regularly at national sales meetings for healthcare manufacturers and distributors. The purpose of this article is to share how to create an NSM experience that both equip and motivates medical sales teams to competently sell more. Medical sales is chosen as a career for many reasons, but let’s not lose sight of the main one – money. One of the best, if not the best way to motivate sales reps at an NSM is to help them sell more and earn more. A typical NSM is organized to drive sales. It showcases new products and provides sales enablement, often in the form of product training. This may include features / benefits, competitive information, and in-servicing. Some companies distribute “play books” with canned scripts and blanket positioning statements. This is a step in the right direction, but it also misleads salespeople to sell to all customers the same way. Every healthcare professional is an individual. Sales representatives must learn to have personalized, relevant conversations embodied in a sales process. Without this ability, sales reps return to their territories with little more than a level of product familiarity. As a result, sales reps take what they know (actually, what they think they know) and improvise. Familiarity, by itself, creates a false perception of ability. It may mislead sales reps to believe they’re ready to discuss the new product with customers. Familiarity is very different from being ready for an in-depth sales conversation. Elevating familiarity to sales competiency requires study to learn the details and practice to articulate key value points. Rarely does study or practice happen after an NSM is over. Instead, most sales reps seek out customers and just talk about what they know, which is the product. The problem with product-focused sales presentations is it’s what most sales reps deliver. It’s much harder to distinguish your product when you sell like the majority of sales reps. Successful selling hinges on a rep’s ability to differentiate their product from the customer’s current choice. Major sales opportunities are lost when sales reps assume a product will distinguish itself. The NSM is more than just an opportunity for showcasing new products; it’s also an opportunity to give sales reps a tune-up on medical sales skills and critical sales thinking. 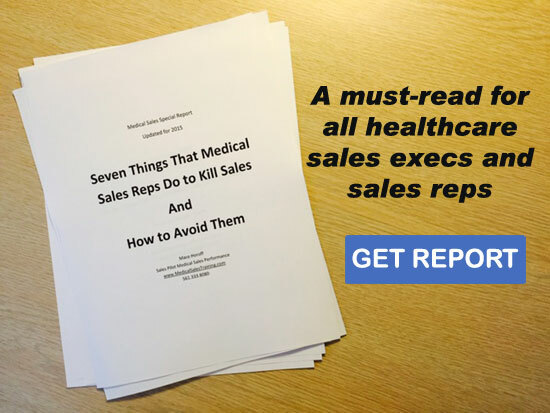 Have you noticed that medical sales reps frequently overestimate their sales capabilities? When I begin a sales workshop, I’ll ask attendees to describe best practices on selling to a specific buyer. They’ll usually describe sound strategies. However, when I put them in intense role-play situations, their performance rarely reflects what they say they do. NSMs, and other opportunities when the sales team is assembled, are prime opportunities to address these gaps. Mere product familiarity is just a formula for sameness, but building confidence through relevant training and information drives differentiation in the territory. And confidence provides something that little else does: true motivation. Companies like to pamper reps and make them feel appreciated at NSMs. Much is spent on food, drink, and entertainment to create a positive experience. Meeting planners frequently hire one or more motivational speakers to present to attendees. These speakers run the gamut from professional athletes and coaches to celebrities such as politicians and actors. They tell great stories and inspire. Unfortunately, the inspiration often lasts only until the next speaker, or the next food course, whichever comes first. What truly motivates medical sales people to take action is knowing what to do and say when they walk into an account. NSMs can do this by providing learning opportunities that teach reps to leverage opportunities and address challenges in the territory. When reps are confident they can sell more and earn more, that’s motivation! It’s a sad reality that many companies spend more on coffee and cocktails at NSMs then they do on meaningful learning experiences for their sales team. A great NSM experience is important, but what sales representatives do after the NSM matters more. Sales reps should leave an NSM excited and ready to implement what they’ve learned. Unfortunately, returning to the territory often brings crisis, customer service demands, and opportunities that distract reps from implementing plans from the NSM. This causes sales reps to fall back into old selling habits. Great companies continuously reinforce any concepts and skills learned at an NSM through sales managers and ongoing company communications. This does two things. First, it keeps the information top of mind for sales reps. Second, it shows the company has an ongoing commitment to helping salespeople succeed. 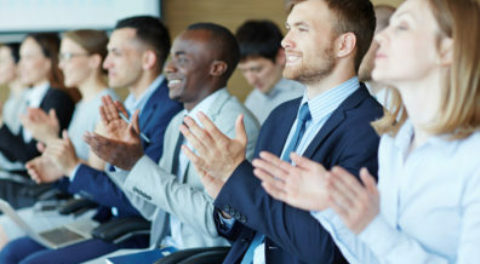 National sales meetings should be fun, memorable, and productive. Building a team mentality and positive feelings about the company are important. Just be sure your sales team leaves the NSM with clarity about what to do and how to do it going forward. Knowing how to succeed provides the greatest motivation. It also spells ROI! If you would like to speak with Mace Horoff about effective ways to enhance learning and ROI at your next NSM, call him at +1.561.333.8080 or email.